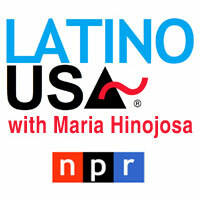 Latino USA is the foremost Latino voice in public media and the longest running Latino-focused program on radio. As the most consistent voice reporting on Latino news and culture since 1992, Futuro Media Group’s Latino USA (LUSA) brings depth of experience, on-the-ground connections and knowledge of current and emerging issues impacting Latino and other people of color to every broadcast. Reporting stories about diversity, culture, civic dialogue and how people live (and struggle) with difference in community is the bedrock of Latino USA.